Hello! My name is Mike Delayo. I am new to the Music and Arts team this year. 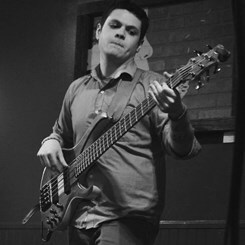 I have been playing bass now for 9 years and currently working towards my degree in Music Performance in Bass at the Community College of Baltimore County,. I play with many different groups including the Jazz Ensemble at my college and I also work as a session musician. I am originally from Pasadena, Maryland but moved to the Eastern Shore when I was younger. Working in a job that had to do with music and my passion was always a dream of mine and I'm happy to finally be able to do just that. I look forward to meeting you all and helping you find the perfect instrument to take you to the next step!